Rent Hotel on Rivington | Corporate Events | Wedding Locations, Event Spaces and Party Venues. From our breathtaking penthouse triplex to our art-centric private dining spaces, there’s no better place to host your next meeting or party than at one of our NYC event venues. 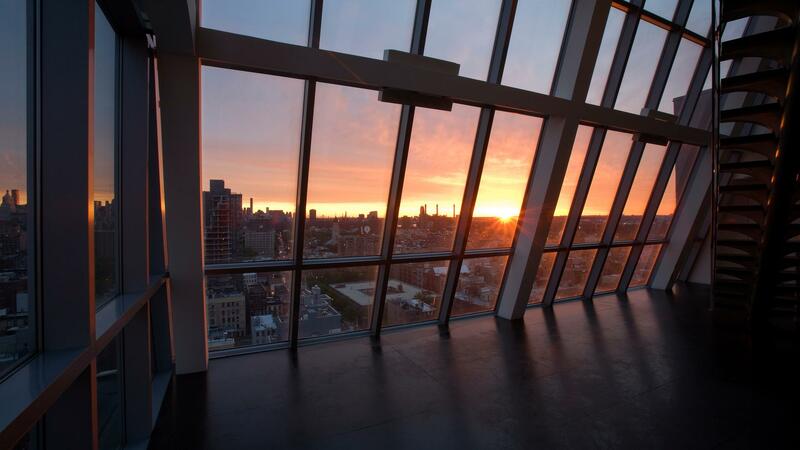 With a 1,000 square-foot roof deck & 2,000 feet of indoor space enclosed by floor to ceiling windows exposing three magnificent views of Manhattan, the penthouse is an ideal space for weddings, cocktail receptions, private dinner parties, photo shoots and other unforgettable occasions. Café Medi brings the fresh flavors of the Mediterranean coast to the Lower East Side of New York City. From the vibrant outdoor patio looking out onto Rivington Street, to the sky-lit atrium and Spanish tiles of the main dining room, Café Medi is a fresh and welcome respite from the New York City hustle. JIA is a 1920s Asian-inspired lounge nestled behind a graffiti-tagged red door in the heart of the Lower East Side. The intimate space boasts transcendent decor, refined cocktails and a state-of-the-art sound system, allowing you to dance the night away.